Hillary Clinton greets supporters at a campaign event. The Democratic Party of Evanston officially endorsed the candidate for president. 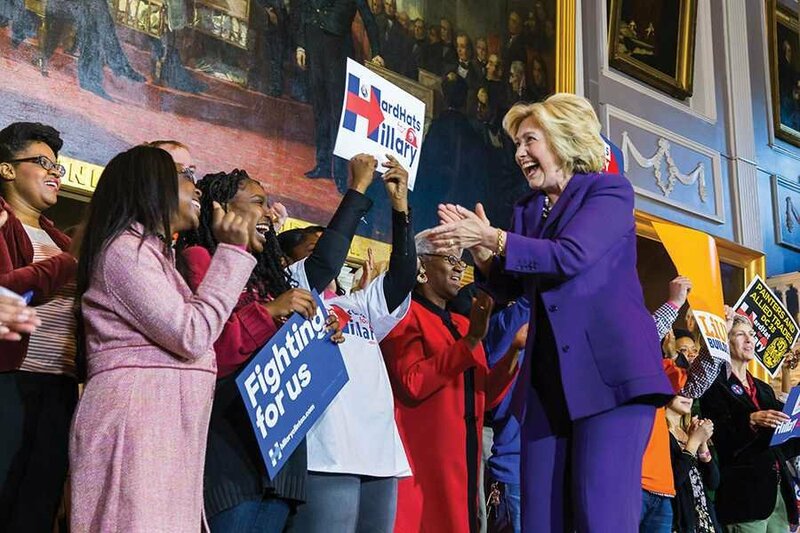 The Democratic Party of Evanston will support Hillary Clinton for president, after holding a meeting Sunday for members to decide which candidates to endorse in the upcoming primary elections. Members of the nearly-200 person organization cast their ballots Sunday night to decide possible backing of candidates running in the March 15 Democratic Primary. In order to receive an endorsement, candidates must earn two-thirds support. In addition to Clinton, DPOE also decided to support Tammy Duckworth for U.S. Senate, Kim Foxx for Cook County State’s Attorney and Josina Morita, Mariyana Spyropoulous and Tom Greenhaw for Metropolitan Water Reclamation District. Eamon Kelly, Evanston Township Committeeman, said that the process shows how strongly Evanstonians support local politicians. Kim Foxx, running for Cook County State’s Attorney, received 90 percent of the vote. “Our members are fired up and ready to elect the best Democrats on March 15,” Kelly said in a news release. The only position DPOE did not endorse in the upcoming primary election was for the Cook County Clerk of the Circuit Court. Attorney Jacob Meister was the frontrunner with 55 percent of the vote, followed by Chicago Alderman Michelle Harris with 30 percent. Because neither candidate reached a two-thirds majority, the organization did not officially support either candidate. However, that does not mean they dislike either candidate, said DPOE President Janira Clark.